Interstate Capital's free load board connecting motor carriers with freight brokers and shippers is helping more businesses than ever grow. EL PASO, Texas, February 7, 2019	(Newswire.com) - Free Freight Search, the world’s largest free load board website, announced today that it recently added its 100,000th registered member. The site matches brokers and shippers with available freight to carriers looking for loads. In addition to making it easier for truckers to operate at full capacity, FreeFreightSearch.com offers a number of tools. The online load board provides direct access to a freight bill factoring company, helping truckers get paid for each load within hours of delivery or obtain a fuel advance without having to leave the site. 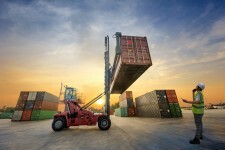 At any given moment, thousands of truckloads are available for motor carriers to select, which can potentially reduce downtime and increase revenue. Both freight brokers and carriers can run searches, but the load board offers a free digital notification system as well. Carriers receive notices when a load matches their truck and location specifications, while brokers are notified when a new truck is listed that fits their load requirements. There is no charge to post or search for loads. This sets Free Freight Search apart from other online load boards, which often have recurring membership fees or fees for posting loads. Williams says that the abundance of tools available, paired with the fact that the site is free to use, are major contributors to its success. Carriers, freight brokers and shippers interested in registering for a free account are instructed to visit www.FreeFreightSearch.com/Register. Interstate Capital is presently accepting applications from B2B providers. Those who would like to speed up their client payments are urged to visit www.InterstateCapital.com for a free quote today. Interstate Capital, one of North America's leading invoice factoring companies, focuses on one goal: helping small and medium-sized businesses succeed and grow. More than half of all small-business owners can benefit from reviewing and implementing bookkeeping best practices. Newly-released interview explores the side of invoice factoring consumers rarely see.